Carlito the white beetle of Oli & Carol from Barcelona. 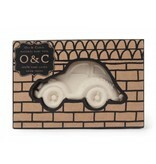 This nice white car is ideal for bathing, as a teething toy or as a decoration for your baby's nursery. 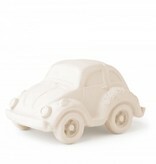 The toy is made from 100% natural rubber and therefore super environmentally friendly and non-toxic. 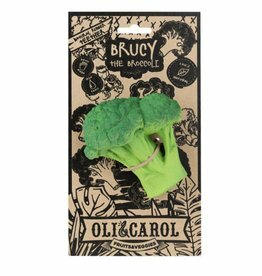 In addition, when you buy a toy Oli & Carol, you help with their mission to let children in North India go to school. A safe and loving toy for your child! AFM: 8x8x6.5.